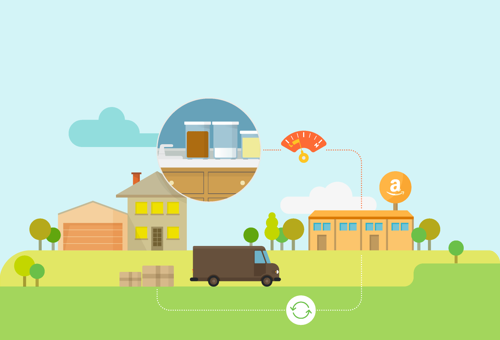 Amazon Dash Replenishment combines the power of Amazon’s retail platform with connected devices, creating an innovative and simple set of API’s that can be used to build seamless reordering experiences for your customers. These API’s allow you to leverage Amazon's authentication and payment systems, customer service, and fulfillment network—ensuring your customers never face the “ran out of it” moment while giving them access to Amazon's low prices, great selection, and reliable delivery. Today we are happy to announce our new Amazon Dash Replenishment device wizard—an easy-to-use quick-start wizard for developers to help you configure your device or service and enable it to place orders from Amazon. In order to provide a great experience to users, the first thing you have to think about is the user interface (UI) of your app. Designing the UI and UX (user experience) of an app could become a very challenging and time-consuming task, but there are some simple steps that you can follow to make your app look great on tablets. Mario Viviani, Amazon Technology Evangelist, will be hosting a live webinar as he shares with how to implement solid UI design for Android tablets. He should know! Mario is a former Google Development Expert (GDE) who has done design work for the world’s most popular Android tablets. In this presentation, Mario will explain the relationship between different layouts and fragments; how screen density, screen resolution, display size, and density pixels all work together; and how to also apply that knowledge to Amazon Fire tablets. After this presentation, you’ll not only have a better understanding of how to design UI for tablets, but you’ll understand more about optimizing your Android design for any form-factor! Best strategies to properly create and size layouts & graphical resources of your app. How to better understand screen resolution and density for Android devices. How to explicitly declare support for Fire tablets in your Android app manifest. Last week Amazon announced unlocked Android phones with exclusive pricing for Prime members, and today those phones will start arriving on customer doorsteps. 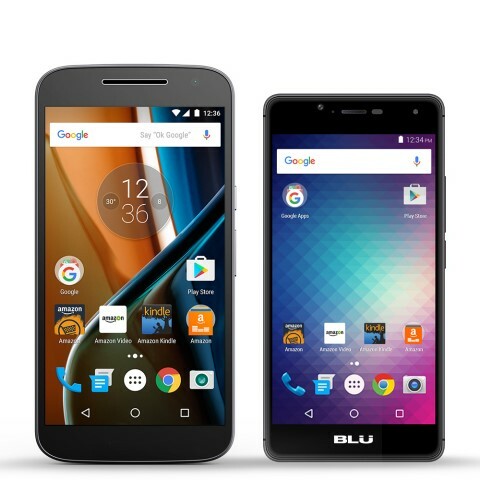 The all-new BLU R1 HD is only $49.99 ( $50.00 off its retail price of $99.99 ) and the new fourth-generation Motorola Moto G is $149.99 ( $50.00 off its retail price of $199.99 ). Each phone is offered unlocked, with no commitment to a contract, giving Prime members the flexibility to switch between wireless carriers and service options to best fit their needs. The BLU R1 HD and Moto G feature Android 6.0 Marshmallow with Google Mobile Services, including Google Maps, Gmail, YouTube , and Google Play. A single sign-on experience provides Prime members easy access to their Prime benefits through the most popular Amazon apps, including tens of thousands of movies and TV episodes with Prime Video, over one million songs and playlists with Prime Music, unlimited photo storage and backup with Prime Photos, one free pre-released book a month with Kindle First, FREE two-day shipping on millions of items, and more. Customers also get access to thousands of apps, games and in-app items that are 100% free with Amazon Underground, and can shop a personalized selection of Amazon's daily deals right from a new home screen widget. Currently, the devices are only available to customers in the United States. The Amazon Appstore has never been available on a broader range of devices and platforms. It’s no wonder 65% of the surveyed developers also say that the Total Revenue achieved on the Kindle Fire is similar to, or even better than, what they experience with other major platforms. In addition to Fire tablets, Fire TV and other Android devices, the BLU R1 HD and Moto G will help increase the reach of Amazon developers by bringing the Amazon Appstore and the Underground Program to more Prime customers. With millions of Prime customers in the United States, having Amazon Underground come pre-loaded on the BLU R1 HD and the new Moto G presents a great opportunity for you to get your apps and games in front of a brand new audience and make more money. We are happy to announce our transition to a new developer forum platform! We hope that this new platform will not only be a more accessible discussion experience for you, but will also allow us to provide better assistance to our developer community. The forums can be found at forums.developer.amazon.com. You can choose from a variety of spaces including Alexa, General Android, Amazon Underground, Merch by Amazon, and Chinese and Japanese language support. In each space we have built a knowledge base of frequently asked questions and have a team of global moderators available to help you out. We invite you to ask questions, contribute answers, follow threads, and join our growing developer community online for support, sharing, and feedback. For our veteran forum users - Don’t worry! Everything related to your past accounts has been automatically migrated to the new forum such as your username and post history. New users will be able to make new accounts and get involved in the discussion right away. We are proud to partner with VisionMobile for the 11th edition Developer Economics survey made by developers, for developers. This survey—Developer Tools Benchmarking—focuses on developer tools and is a great opportunity for you to tell us what what’s fantastic or frustrating about the tools you’re using, what you're building, why, and where you go to find out how. This survey is open to everyone involved in software development, across mobile, IoT, desktop, cloud, gaming, augmented/virtual reality, machine learning, and more! VisionMobile are the analysts of the developer economy. Their research has been helping the world understand developers, and developers understand the world for the past 6 years. Their mission is to predict how software will change our world - using data. Why Should You Take This Survey? As a developer, your opinion is important to help us understand how we can serve you better. Whether you are looking to share your thoughts with the dev community, find out something new, contribute to the leading developer research or even win a prize, this is the survey for you. The survey features questions on topics like programming languages, platforms, app categories, tool categories, revenue models, IoT verticals - and, of course - tools! It’s a survey made by developers, for developers - so the questions are very relevant! With Advertise Your App, you can promote your app to millions of users on Fire tablet wakescreens and mobile placements on the Amazon Mobile Ad Network. Getting started is easy; you can create an Advertise Your App campaign in less than 90 seconds, and launch a campaign with as little as $100. And the best part? You only pay when a user clicks on your ads. Previously, the only way to track Google Play conversions was to integrate our Mobile Ads SDK. Recently we added a new feature to help developers track and improve campaign performance: the Google Play referrer tag. With the Google Play referrer tag, you can now use a referrer tag to see the number of users that installed your app from the Google Play Store. Which IoT platforms are competing with Apple and Google? Which are the most popular cloud APIs? Does mobile, IoT or cloud development pay better? These are just some of the questions that our friends at VisionMobile tackle in their latest Developer Economics research. Take their 10-minute National Trends survey and help piece together 2015’s hottest developer trends. Participants can win awesome prizes like an MS Surface 3, Lumia 635, iPhone 6s, Parrot AR Drone 2.0, Blackberry Passport, as well as one of 200 Amazon vouchers! In addition to prizes, survey participants will also get the chance to see a) how they compare to other developers from their country/region and b) how their country compares to other countries from the developer landscape. Access to graphs will be given upon survey completion and upon survey closing respectively. As always, the key findings will be released as a free report in February. Now in its 10th edition, the Developer Economics National Trends survey is designed to cover the whole developer spectrum - that means from hobbyists to enterprise developers alike. So whether you’re involved in mobile, IoT, desktop or Cloud, Developer Economics is asking the right questions. Take the survey and win some prizes while you’re at it! 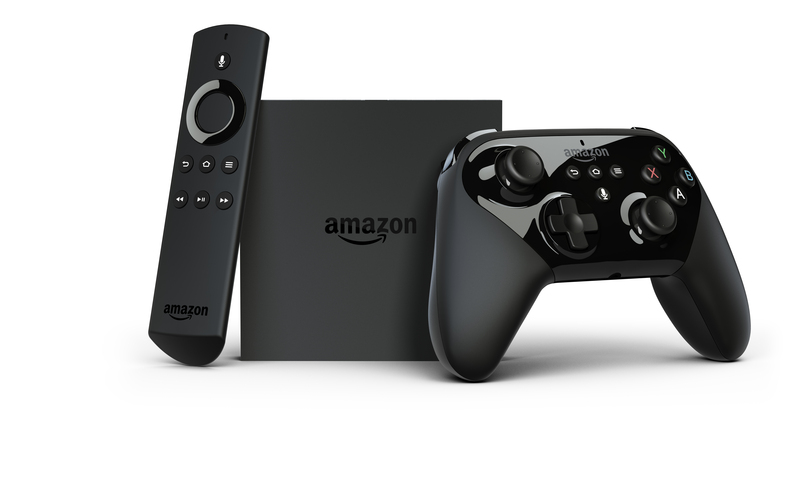 Developer Evangelist, Jesse Freeman, unboxes the new Amazon Fire TV Gaming Edition and walks through all the hardware with pictures. We recapped the new features for the Alexa Skills Kit (ASK) that have launched since June. We shared information on Chartboost, the largest mobile-games only platform, helping game developers increase revenue and discover new players. We announced the most recent recipient of the Alexa Fund, Invoxia, who joins 10 previously funded recipients. We announced the GameOn program from Chartboost, offering $100 in free Charboost ad credits to qualified developers. Publish your first app to the Amazon Appstore between October 1st – November 1st and we'll help you drive installs, monetize, and scale with a Success Bundle worth up to $700. We recently launched the Alexa Lighting API extending Alexa’s built-in lighting skill so she can securely control cloud-connected lighting and switch devices. This new API enables you to write code that translates between Alexa’s built-in lighting skill and your lighting device’s proprietary control systems. 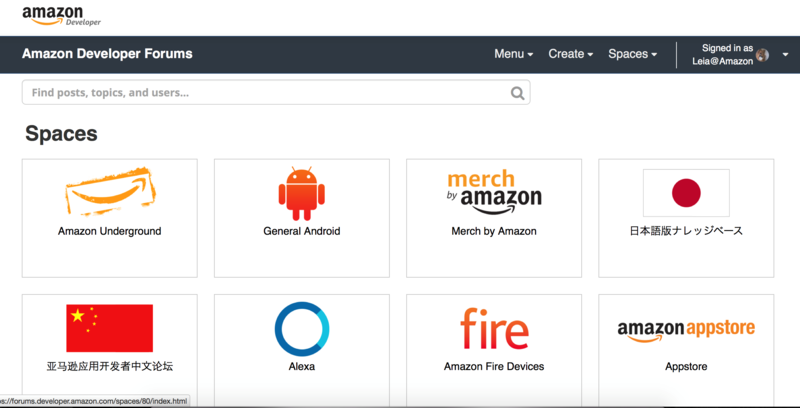 In this post, learn tips for using Login with Amazon in your Alexa Skill. Starting today, you have the option to participate in a preview of Amazon’s new Developer Publishing API. The Developer Publishing API is a RESTful API that allows you to update existing apps and submit new Android apps to the Amazon Appstore. By integrating the Developer Publishing API with your existing backend, content management systems, and configurations tools, you can more easily manage large quantities of apps and games. Click here to learn more. Register for a FREE Amazon Devleoper account. Apply for the Developer Publishing API Preview. Now is the time to get started. Check out the resources below to learn more about the Developer Publishing API and the Amazon Appstore.